A cliché symbolised by the mnemonic KISS. I have always found the phase slightly insulting. What is so stupid about keeping things simple? Or is it saying that if you use a word with more than two syllables, it is you that is stupid? Or is it saying that because most people are stupid you have to keep things simple? However I read this phase, I can’t see a positive slant to it. I have tried changing the words to read Keep it Simply Simple (KISS) but that doesn’t really work for me either. Let me be clear though. I do believe that simple is best. The UK average reading age is 8. That is quite scary! And when there are so many messages crossing our paths each and every minute, ones that are easy to assimilate are more likely to be remembered. The length of your sentences. Shorter sentences are easier to read. Keep them to less than 25 words. The characters per word. Shorter words are easier to read. The number of sentences in each paragraph. Shorter paragraphs are easier to read. You can find out how easy your writing is to read quite simply, using Microsoft spell check. Click on spelling and grammar. At the bottom of the blue dialogue box that there is a frame called options. Click on this. Tick the show readability statistics and close that frame. Now when you finish spell checking you will have a report on the readability statistics of the piece you have written. Wow how great is that? You should be aiming for a high reading ease and a low readability statistic. This piece has a 78.2 reading ease and a 4.6 readability status. That’s pretty good. I thought this was amazing when I discovered it a few years ago, I hope it helps you too. I agree with KISS comments (stupid) – hurrah, someone said it at last! Call me “old fashioned” but KISS does at least get remembered. I can’t think of a reason why I would ever want to have a KISS that was “short and simple”!!!!! 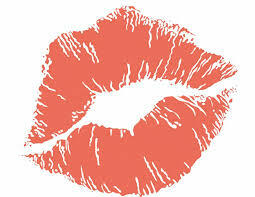 I think you should come up with a mnemonic for SLOPPY KISS, or BEST KISS. When I first read this reply I was still on holiday in Austria and the idea of developing a mnemonic around SNOG has consummed my every thought. Alas two weeks have gone into the thinking of this and I am yet uninspired. I’ll just have to remember your “short and simple” alternative to KISS instead. I thought I was quite good on Word but I hadn’t come across this little tip. I love it – I’m even tempted to go back over old documents to check my scores but I guess stable doors and horses spring to mind. However, can anyone enlighten me as to what the “Flesch-Kincaid Grade Level” means? I’m intrigued. PS I thought KISS meant Keep It Short and Simple but I actually prefer Keep It Simple Stupid!!! I am so impressed. Richard have you seen this? Thanks for the tip – have added Wikipedia to the Blogroll. Just can’t remember how to change the name to read website favourites.